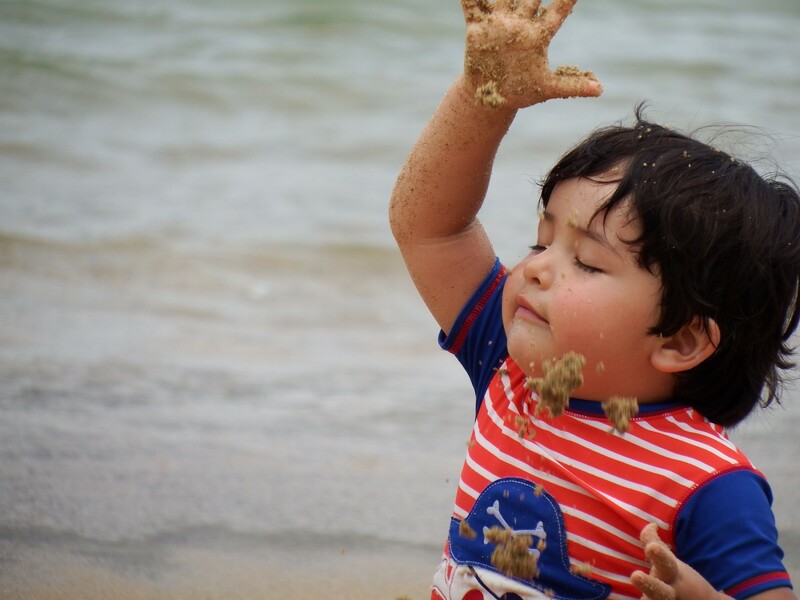 Since last October, 2015, I decided to promote an idea of entrepreneurship with social sense, honoring the name of my son of 21 months age; Juan Diego. Juan Libreros is a entrepreneurship about clothing and accessories for men and women with social sense. The Peace Handkerchief is its first creation. 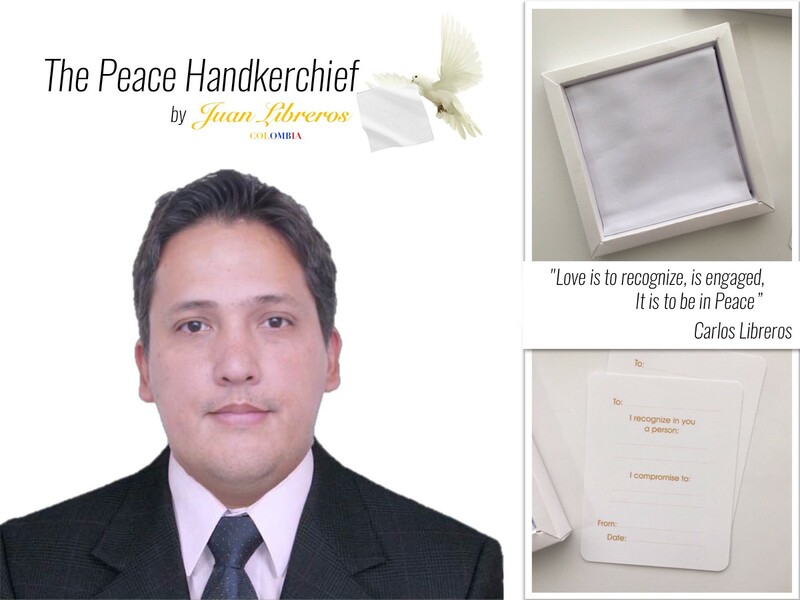 The Peace Handkerchief represents a gesture of reflection and change between people or with the world, contributing to peace in my country and the world, and breaking the paradigm of how to express love, how to be in peace. I was inspired to create a tool to help overcome conflict between people anywhere in the world. Especially the armed conflict of my country; Colombia. According to a report by Colombia’s National Centre for Historical Memory, 220,000 people have died in the conflict and more than five million civilians have been forced from their homes. This is why the manufacturing of The Peace Handkerchief will be done by men and women who were displaced by the armed Colombian conflict. 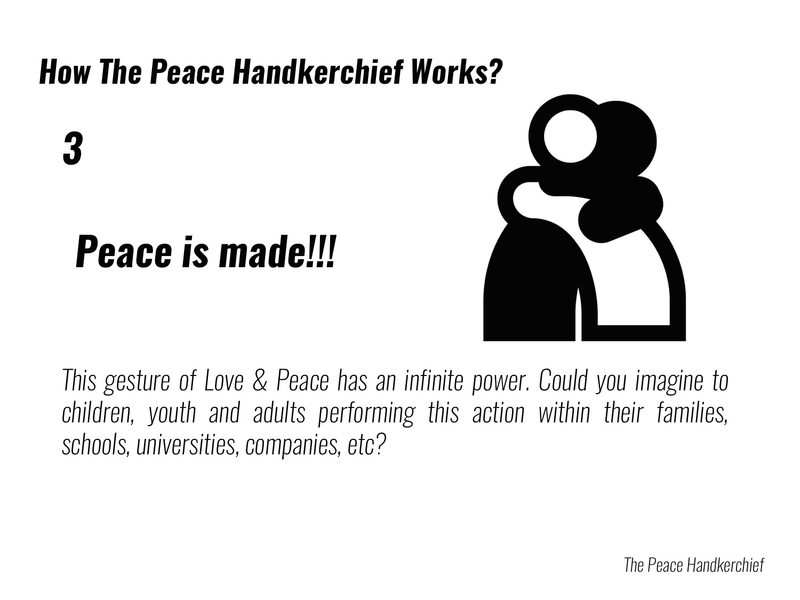 My next big step is to raise awareness about of the Peace Handkerchief, so we can raise the necessary funds for manufacture and delivery of The Peace Handkerchief. 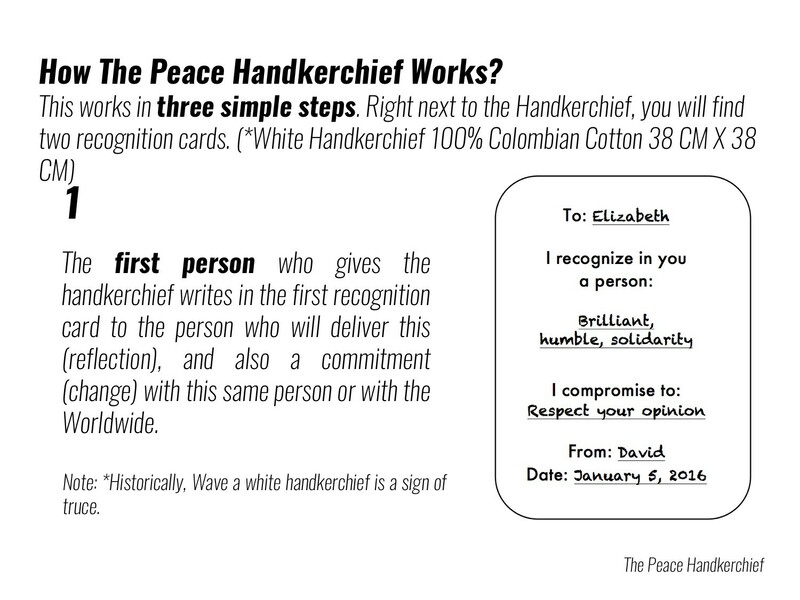 I have a dream that one day the peace handkerchief will be a tool that helps get peace in Colombia and the World. I imagine children, youth and adults performing this act of love and peace within their families, schools, universities, companies, and especially between victims and perpetrators of armed conflict. I imagine performing this act between victims and victimizers (Civilians, Army, Guerrillas). My biggest obstacle as an entrepreneur has been Colombia’s political polarization: people like me who want peace in Colombia, and others who do not. 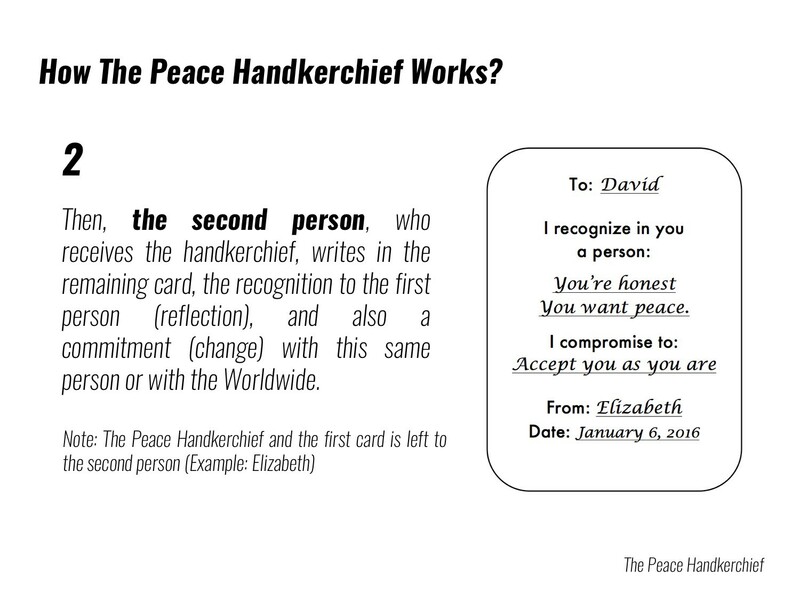 The Peace Handkerchief breaks paradigms, generates change. Also, throughout my life, I have understood that when a person is recognized positively, it motivates them to perpetuate the good behavior. It’s important in entrepreneurship to create a network with like-minded people. We must learn from the success of others, obtain new clients, expand your knowledge, and tell others about your enterprise. Creator of The Peace Handkerchief. Disruptive Engineer, Speaker & Coach; expert in the fields of Storytelling & Thought Disruptive. @LibrerosCali on Twitter.